Located at the busiest intersection in Carthage/Leake County these two parcels of land give a developer so many options. 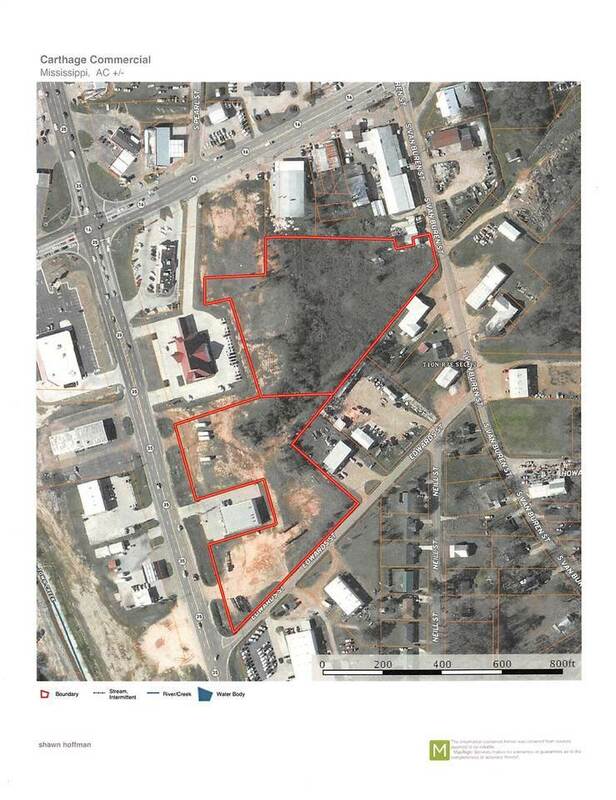 Frontage access on State Highway 35 and city street access to Edwards St as well as South Van Buren St these 8 +/- can be purchased as a whole or could possibly be divided to suite your needs. 3 phase electrical, city water, city sewer, telephone, ultra high speed internet access all the infrastructure you need to succeed is available at this location. Office space, strip mall, retail, food service, etc... contact your broker today to gather some more information to make your business' location location location the best in central MS.